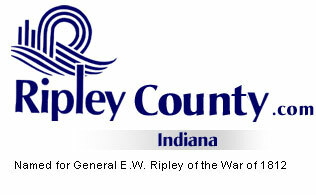 The Ripley County Council met on Tuesday, April 19th, 2005 at the Ripley County Annex in Versailles, Indiana. Donald Dunbar, Ripley County Council President called the meeting to order promptly at 7:00 PM with Council Members Dephane Smith, Mark Busching, Ben Peetz, Donald Dunbar & Edward Armbrecht in attendance. David Simon & William Dramann were not present for this meeting. Council Member Busching made the motion to approve the minutes of the March 15th meeting seconded by Council Member Smith. Motion approved unanimously. Council Member Smith made the motion to approve the appropriation for Shawna Bushhorn, Ripley County Assessor of $4,000 / Sales Disclosure Fund # 222-25300-000-222 & $4,000/ Sales Disclosure Fund # 222-49000-000-222 seconded by Council Member Peetz. Motion approved unanimously. Council Member Smith made the motion to take off the table from the March meeting transfers for the Ripley County Sheriff Department seconded by Council Member Busching. Motion approved unanimously. Council Member Busching made the motion to approve the transfer for Bill Davison, Ripley County Sheriff of $1,537 from Physician /Nurse Service Fund # 100-32330-000-014 to Jail Commander Fund # 100-18200-000-014, $1537 from Physician/Nurse Fund # 100-32330-000-014 to Deputy Matron Fund # 100-18401-000-014 & $1,503 from Investigative Expense Fund # 100-34100-000-007 to Longevity Houseworth Fund # 100-14399-000-000-007 Seconded by Council Member Smith. Motion approved unanimously. Becky Reatherford, Soil & Water presented an invitation to the Ripley County Council to attend the Breakfast/ Legislative Tour on Saturday, May 14th, 2005, 8:00AM @ the Milan Reservation, Milan, In. Mary Ann McCoy, Auditor of Ripley County presented a chart on how the 2003 Payable 2004 taxes are distributed in Ripley County. McCoy advised that 69% goes to the school, 17% to Ripley County, 2% to Libraries, 6% City of Batesville, 3% Towns, 1% Townships & 1% State. McCoy also reported that tax rates have not yet been received and that Batesville School had filed an appeal. Hearing on the appeal is May 2, 2005 @ 5:00PM at Batesville School. Don Dunbar, Council President appointed a Finance Committee consisting of Edward Armbrecht, Chairman, Mark Busching, Kelly Vollet, Robert Reiners, Mary Ann McCoy & Don Dunbar. Finance Committee will meet and come up with a recommendation for the 2006 Budgets. Chuck Folz, Commissioners expressed concerns about the trash that is being dumped along the roadsides in Ripley County. E911 Advisory Board – Benjamin Peetz- reported reimburse approx. $190,000 from state/ raise surcharge $1.50 to $1.75/ GIS Data needs some attention. Grants Committee – Donald Dunbar – Sheriff received part of the money for the vests /Early warning system. Council Member Smith made a motion to adjourn until the next regular meeting on Tuesday, May 17th, 2005 seconded by Council Member Armbrecht. Motion approved unanimously.